Provo, Utah—The Varsity Cup announced today that Central Washington University (CWU) has been selected to participate in the 2013 Varsity Cup National Collegiate Rugby Championship. CWU comes into the Varsity Cup after the forced departure of the University of Utah following a recent administrative suspension of the Utah rugby program. The Wildcats immediately join the Varsity Cup this postseason with an on-going participation commitment through the 2014 and 2015 seasons. As an NCAA member institution Central Washington University is led by current head coach Tony Pacheco, who concurrently serves as the USA Rugby Collegiate All American 7’s head coach. 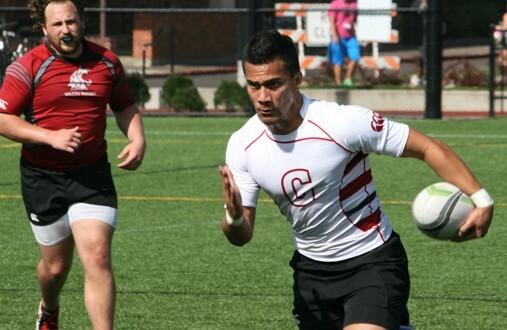 CWU boasts an 8-0 regular season record in 2012-13 and a #7 national ranking in RUGBYMag.com’s all-division rankings. The Wildcats also field one of the country’s top 7s squads with CWU being 2011 USA Rugby Collegiate 7s Runners-Up and a spate of recent 7s rugby tournaments victories over the last year, including an appearance in February’s acclaimed USA Sevens Las Vegas Invitational where CWU advanced to the Cup Championship only to fall to a strong University of Victoria 7s team. CWU’s Director of Rugby Bob Ford says the invitation to join the Varsity Cup Championship was an opportunity his program couldn’t afford to pass up. The decision to invite the CWU Wildcats into the inaugural Varsity Cup came after timely but careful consideration with the participating Varsity Cup universities’ administrators and coaching staffs. CWU will slot into the vacated #4 seed and meet the Air Force Academy in the Western Super-Regional hosted on the campus of UCLA. Kick-off for the AFA vs. CWU match is set for 2pm PT on Saturday, April 20th. Meanwhile the hosts will take on 2012 National Collegiate Rugby Champion BYU in the Varsity Cup Western Super-Regional concluding match at 4pm. The inclusion of CWU doesn’t affect the Eastern Super-Regional as 2011 National Collegiate Rugby Champion California takes on Notre Dame and Navy meets Dartmouth. Both Eastern Super-Regional matches are also scheduled for April 20th and are set to be played at 1.30pm ET and 3.30pm ET respectively inside the Navy-Marine Corps Memorial Stadium. 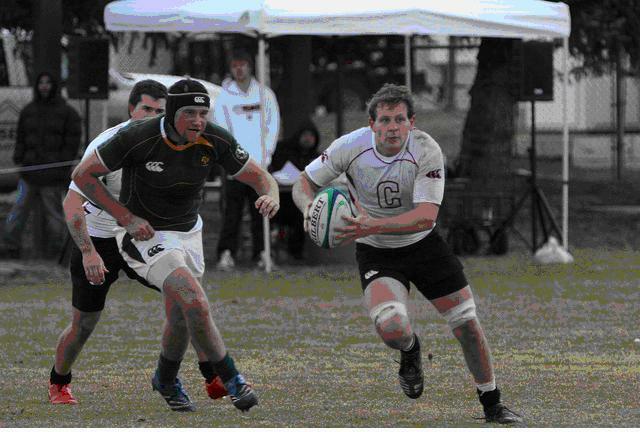 This entry was posted in CWU Sport Clubs, Rugby on April 5, 2013 by cwusportclubs. After careful consideration Central Washington University has notified USA Rugby that they will decline their right to a post season challenge match on April 20th at the #2 California Seed. The Wildcats will continue to meet their regular season obligations for the 2012-13 season by hosting St. Mary’s College of California and Cal Poly on April 6th and 13th respectively. This entry was posted in Rugby on April 5, 2013 by cwusportclubs. RENO, Nev.-Central Washington Bowling completed a long time goal this weekend. They won their first tournament in program history during the Reno Collegiate Open this weekend. They had a set high of 1156. As of Feb. 3rd the Wildcats are ranked 51st in the nation and will get an added boost when the next set of rankings come out. Bowling has been a Central Washington University Collegiate Sport Club for 12 years and has made major strides in the club over the past few years. Last year they finished 88th in the nation, eight spots out of qualifying for sectionals. Next up for the Wildcats is sectionals in Las Vegas, Nev. on March 9th. The Wildcats will look to qualify for nationals later this spring in Lincoln, Neb. This entry was posted in CWU Sport Clubs and tagged basketball, collegiate sport, lincoln neb, reno nev, soccer, sports on February 11, 2013 by cwusportclubs. 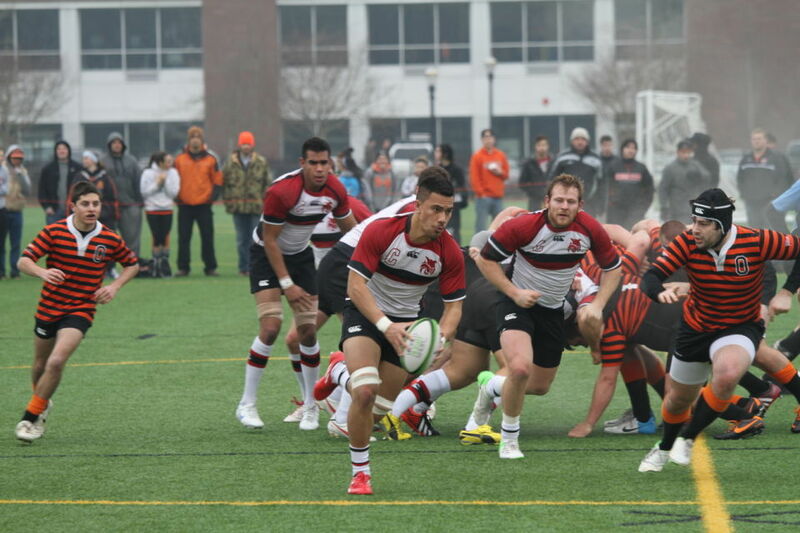 Central Washington University has one of the premier collegiate men’s rugby programs in the nation, but it doesn’t fit in geographically with its peers. The closest worthy adversaries are in California and the Mountain time zone. The Wildcats were a staple of the Division 1-A Pacific Conference, but with more California schools moving up came fewer willing to travel north. 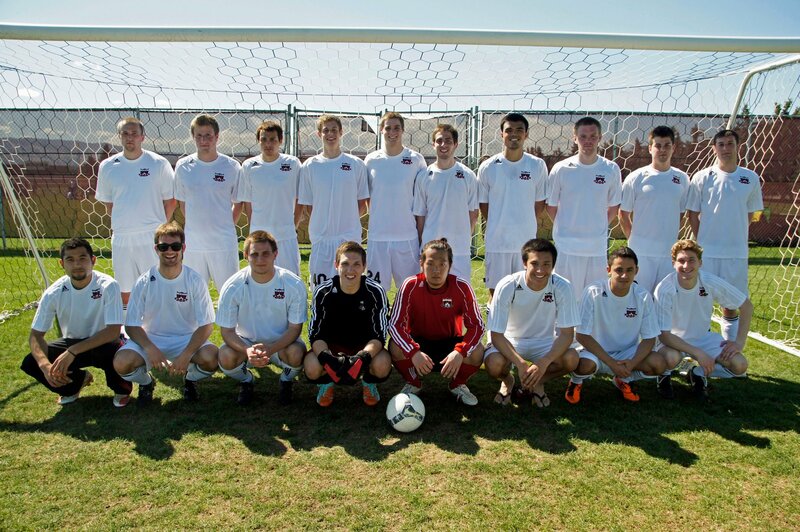 So CWU will go it alone this season, becoming the top flight’s only independent squad for the 2013 season. This entry was posted in Rugby and tagged College Rugby, CWU, CWU Rugby, D1-A, USA Rugby on January 23, 2013 by cwusportclubs. COLLEGE STATION, Texas-Central Washington Rugby is looking to build on their 2nd place finish at the 2012 USA Rugby National 7’s Championships in College Station, Texas.The tournament kicks off Nov. 30th and concludes Dec. 1st. All the action will be easy to follow from your computer or tablet as they will live streamed on the USA Rugby YouTube TV Channel. The cup semifinals as well as the championship will be streamed on ESPN3. Following CWU Rugby as never been easier. Follow the team on Facebook and get instant results of matches or follow the action on Twitter via @USAEaglesRugby, @Goffonrugby, @RUGBY_Magazine and @Pat_Clifton. Use hashtag #College7s to join the conversation. Also follow @CWURECREATION for updates on Central Rugby. This entry was posted in CWU Sport Clubs, Rugby on November 28, 2012 by cwusportclubs. 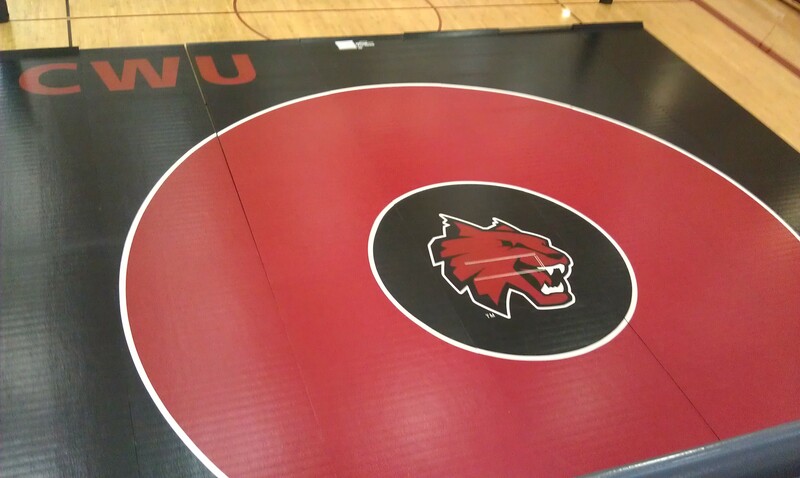 ELLENSBURG, WASH.- CWU Wrestling is beginning preparations for the 2012-2013 season and expectations have been rising after a successful 2011-2012 campaign. Coming into the season, they have added a new head coach, Eric Idler, who formerly coached the CWU Varsity Wrestling squad before being cut in 2004. Idler currently helps out at Ellensburg High School as well. CWU also will host the NCWA Northwest Regional Tournament which will be the qualifier for the National NCWA Tournament in Allen, TX. Central Wrestling has also added a new wrestling mat to their collection. The new mat is made by ResLite and will be much safer than the old mat that was used by the varsity program. “The mat will allow our club to grow and bring in new members” Club President Steven Alfi said . The mat will be used at all future home competitions. The Schedule can be found at the NCWA website. This entry was posted in CWU Sport Clubs, Wrestling on November 1, 2012 by cwusportclubs. September 21st 2012 Ellensburg, Wash.-The Central Washington Women’s Rugby Club has come together with Whitman’s Women’s Rugby Club and have scheduled a “Prom Dress Match” with all proceeds going to Breast Cancer. The event is scheduled for October 12th,2012 at 4 p.m. The Women’s Rugby team is very excited about the event and Club Vice-President Heather Johnson said, “It will provide a fun atmosphere for our team to come together, while also raising money for Breast Cancer.” The match will be a friendly between both clubs, before they begin their PNRFU Division II season. The match will take place at Nicholson Rugby Pitch. 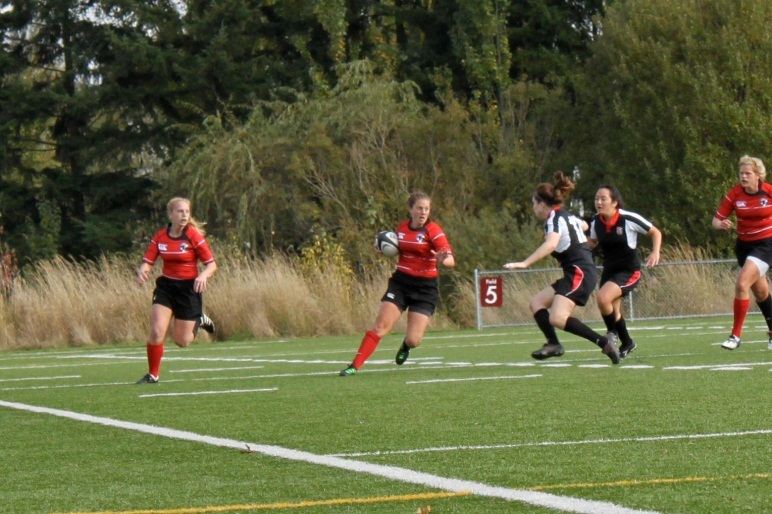 This entry was posted in Women's Rugby on September 21, 2012 by cwusportclubs. This entry was posted in Rugby and tagged AA, CWU, CWU Sport Clubs, D-1A, Recruits, Rugby, U-20, USA 7's, USARUGBY on September 14, 2012 by cwusportclubs. Wildcat Welcome Weekend is upon us once again and CWU Sport Clubs will be welcoming the new freshman with open arms. Sport Clubs will be participating in many events throughout the weekend including SURC-US, Movers and Shakers, and Sport Club Demo Day. CWU Sport Clubs will help incoming freshman move into their new residence halls on Friday from 9 AM to 4PM. Mover’s and Shakers is a great program and helps incoming freshman meet current CWU students as well as starting a new life as a Wildcat. Demo day is the biggest recruiting day for CWU Sport Clubs and will take place all over campus from the swimming pool to the Rec Center. Sport Clubs will be holding practices and will allow freshman to come out and join in the first official club gathering of the school year. 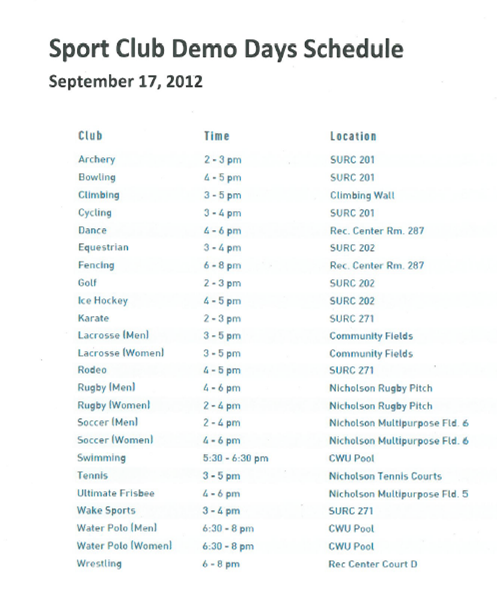 The schedule for Demo Day is below. This entry was posted in CWU Sport Clubs on September 13, 2012 by cwusportclubs. CWU Wake Sports battled both weather and 12 other Collegiate Wake Sport teams at the 2012 Collegiate Wake Board National Championships. Central wound up taking 4th, an improvement of 3 places from 2011. The event took place at the Guthrie Country Club in Guthrie, Oklahoma from May 31st-June 3rd, the event was originally slated to be held at a Oklahoma City site.Thursday and Friday were filled with challenges to the event. The qualifying rounds began on time on Thursday but were halted by the local health department due to high bacteria levels in the Oklahoma City site after two nights of rain and tornadoes in the area. The permit was revoked and the event was forced to find a new location.The Guthrie Golf and Country Club, 30 miles north of Oklahoma City, came to the rescue and graciously allowed the event to be staged on their property. Central’s riders competed in all seven classes. Men A, B, C, D, as well as Women’s A, B and Wake Skate. In Men’s A Thomas Olson, a US Bank Scholarship winner, placed second overall. Brent Lund and Corbin Schafer also took second place in Men’s C and Men’s D respectively.”The entire team performed on a national stage, ” Club President Eddie Roberts said, “we continue to put Central Washington on the national radar and continually show that we can ride with the best.” Also competing and scoring for the team were Patrick Mahoney, Michelle Moos, Kodie Trinidad, and Roberts.CWU Wake Sports continues to be a strong force in the National Collegiate Wake board Circuit. Central finishes a banner season with a West Coast Regional Title as well as top 4 finish at Nationals. Coverage will premiere on Wednesday, July 11 (9 p.m. EDT) as part of The Alt Games Presented by Jack in the Box® on CBS Sports Network. 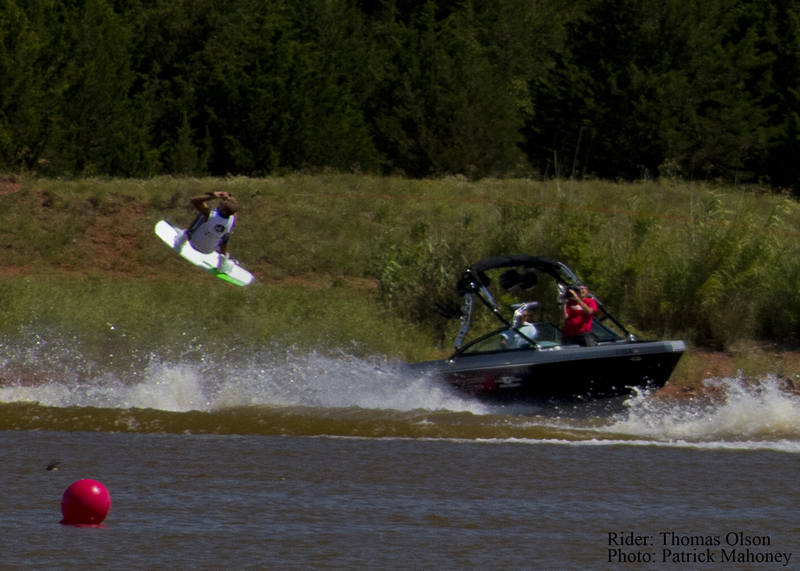 Wakeboarding also will be featured as part of the Alt Games Highlight Show Presented by Jack in the Box® airing on the CBS Television Network on Saturday, July 15 (2 p.m. EDT). CBS Sports Network is available across the country through local cable, video and telco providers on Verizon FiOS Channel 94 and AT&T U-Verse Channel 643 (1643 in HD) and via satellite on DirecTV Channel 613 and Dish Network Channel 158. For more information, including a full programming schedule and how to get CBS Sports Network, go to www.cbssportsnetwork.com. This entry was posted in US Bank Scholarships, Wake Sports and tagged 2012, ALT Games 2012, CWU, CWU Sport Clubs, National Championships, usa waterski, wake, wake sports on June 4, 2012 by cwusportclubs. Christina Ordonez, an Arlington, Wash. native and junior transfer student from Jamestown University in North Dakota became the first national champion in the short history of the club. Christina breezed through her competition en route to winning an NCWWA title in Daytona Beach, Fla. Her title plus her teammate’s effort allowed the Central women to place 4th overall in the nation. Your US Bank Scholarship winner for March is Christina Ordonez. Thomas a junior from Gig Harbor anchors the CWU Wake Team and is one of the best riders in the region. He helped the Wake team win the West Coast Regional in the fall and will lead them into competition next month in Oklahoma City at Collegiate Wakeboard National Championships. Thomas has been a vital part of the CWU Wake Team and he will hopefully help them bring back hardware this June at the ALT Games. Your US Bank Scholarship winner for March is Thomas Olson. Amy Euting, a senior in the Global Wine Studies program, plays a vital role on and off the field for the Women’s Lacrosse Club at CWU. Amy scored the most goals on the team and was voted as the Offensive MVP by her peers. Amy also helped with fundraising and scheduling. She also emerged as leader this year and help newcomers learn the game. Your US Bank Scholarship winner for April is Amy Euting. Torrey Kuhlmann is a post-baccalaureate studying Mechanical Engineering Technology for his major, from Seattle, WA. He began biking for commuting purposes and turned into racer where success has begun to come his way. Torrey won two races this season including the Conference Championship Road Race in Palouse, WA and the CWU Critierum. He was also a member of CWU’s Men’s C Championship winning Team Time Trial team. He finished the racing season in 3rd place overall in the Men’s D category. 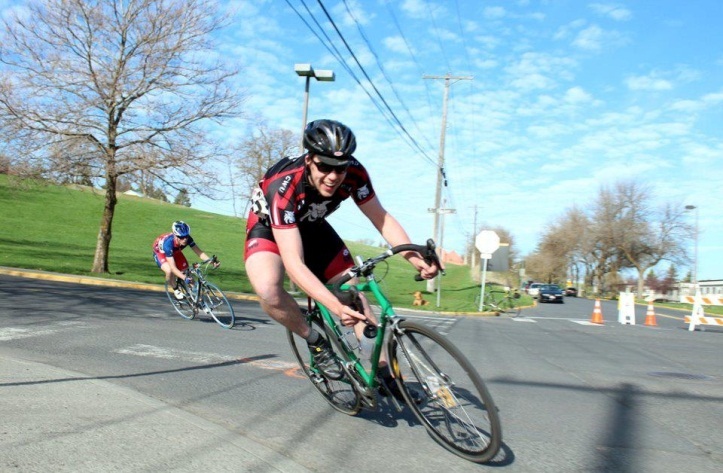 He is only the 6th CWU cyclist to win a Northwest Collegiate Cycling conference race. Matthew Peterson, a current club officer and a senior Aviation major was the most versatile swimmer for the Wildcats at the United States Masters National Swim Meet this past April. He qualified in five events and placed in the top 15 in each. Peterson’s highest placing was in the 1,000-meter. 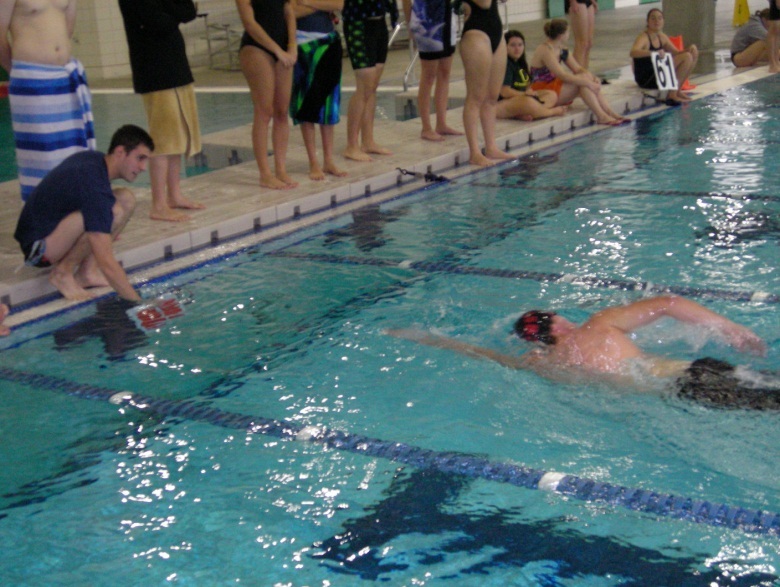 He finished fifth with a time of 11 minutes 19.45 seconds and in the same event. He led the team with six individual medals. Your US Bank Scholarship winner for May is Matt Peterson. Heather Johnson, a sophomore clinical physiology major, is the starting scrumhalf for the Women’s Rugby Club. She has improved throughout the year and become a very versatile player on offense or defense. Off the field, she has also stepped up; she is the vice-president of the club and is involved in fundraisers, recruiting, and other events. Your US Bank Scholarship winner for May is Heather Johnson. This entry was posted in CWU Sport Clubs, US Bank Scholarships, Women's Lacrosse, Wrestling and tagged daytona beach fla, mechanical engineering technology, soccer, sports, team time trial, tennis on May 31, 2012 by cwusportclubs. After beating up on Washington State this past weekend, Central Men’s Soccer will head to Pullman to partake in the NCCSC Tournament. Central will enter as the favorite this weekend due to their stellar record of 6-1-1 totaling 19 points. WSU cannot be counted out being that they are the only team to beat CWU this season. WSU is also the defending champions. The tournament will begin with Eastern Washington, the 5 seed, taking on the 4th seeded Vandals of Idaho at 11 am on Saturday. Idaho and Eastern split the season series, with Eastern taking the most recent of the two matches. The 2 pm game will see the host Cougars take on the Bulldogs of Gonzaga in the 2 vs 3 match-up. WSU and Gonzaga only played one match this year due to scheduling conflicts. Both teams are very good and depending on who shows up, the match could go either way. The night cap will pit the number 1 seed Wildcats against the winner of the 11 am game. The Wildcats will look to take the conference tournament title after losing in OT last year in the championship match. The consolation final will be at 10 am on Sunday, with the championship following at 1 pm. This entry was posted in Men's Soccer and tagged basketball, gonzaga, night cap, sports, stellar record, wildcats on April 23, 2012 by cwusportclubs. Central Rugby sent a message to the rest of the Rugby World today. The message: We will back next year, and you best be ready. Central thumped Cal Poly-SLO 60-29 in what was mainly a one-sided match featuring many of the Wildcat Ruggers. The Cats who were knocked out of playoff contention 2 weeks ago by UCLA wanted redemption against Poly. The Cats did not let up, scoring tries came easy on Saturday, whereas in the last two D1-A matches it has not been, the Wildcats hope their strong finish can lead them into next season with momentum. Central Rugby might not be in the D1-A playoffs this year, but the future looks bright for the Cats as U-20 selection Tanner Barnes got into the mix scoring three tries. The Wildcats were also helped by Patrick Blair, Paul Smith, Alex Reher, Bijan Ghambari, and Andrew Nelson who all got into try zone or converted kicks for the Wildcats. With the season ending, next week the Wildcats will be hosting the CWU Rugby Alumni Game on Nicholson Rugby Pitch at 1 p.m. Following the game the annual Banquet and Auction will take place in the SURC Ballroom at 5:30 p.m. Hope to everyone there. This entry was posted in Rugby and tagged Cal Poly, cal poly slo, Central, collegiate rugby, CPD, CWU Sport Clubs, D1-A, Mens Rugby, patrick blair, playoff contention, Sport Clubs, sports, Tanner Barnes, USA Rugby on April 22, 2012 by cwusportclubs. The Central Washington University Sport Club office is proud to announce the US Bank Scholarship winners for Winter Quarter. Below are stories about each individual and their accomplishments. Miranda Frank of the Rodeo Club is from Moses Lake and majoring in Business. Her coach Mary Minor had this to say about Miranda. “She is, without a doubt, one of the most hard-working, dedicated club members that I have ever worked with. She is a leader and takes pride in following through on anything asked of her. Her time devoted to the Rodeo Club is unbelievable since she is a full-time student and works part-time for the local school district. “Miranda is a vital part of CWU College Rodeo events and making sure they run smoothly. Miranda Frank is the US Bank Scholarship Winner for December. Ryan Snider of the Men’s Rugby Team has had to deal with some adversity over the past year. In March of 2011 he tore his anterior cruciate ligament in his right knee. After a long and intense rehab with University Recreation training staff he suffered a setback in November re-injuring the knee. Despite the injury Ryan played for Central in the Collegiate Rugby Sevens National Championships in December and helped lead them to a national runner up performance. In February he persevered through the injury to play in the Las Vegas Invitational Sevens Tournament. Following the tournament he found out that he will need an additional surgery to repair his knee. He will miss the remainder of the spring 2012 but is expected to return to full strength by the fall. Despite being injured Ryan has been at practices, helped the team administratively and helped players prepare for matches. Ryan’s leadership to the team has been noticeable and he continues to inspire his teammates even though he cannot play for 6 months. The US Bank Scholarship winner for December is Ryan Snider of the Men’s Rugby Team. David Kuich of the Wrestling Club has only been enrolled at CWU for two quarters, but his impact on the club has been more than what the usual freshman has to offer. Acting as the assistant coach/wrestler, David amassed an undefeated record against NCWA opponents during the regular season. David earned 4th place at the West Coast Regional Tournament in San Jose on Feb. 25 and was named “All Conference” for the 133lb weight class. David is a freshman at Central and undecided on his major. US Bank Scholarship winner for January is David Kuich of the Wrestling club. Mackenzie Nichols a junior from Cashmere has been a mainstay in the CWU Climbing Club. She balances her time between climbing and academics very well, double majoring in Global Wine Studies and Public Relations. Mackenzie has helped grow the Climbing Club to what it is today and helps greatly with the “Ropeless Rodeo” hosted every year by the CWU Climbing Club. In Northwest Collegiate Club Climbing Circuit Competitions she is currently 12th Overall. Mackenzie Nichols is the US Bank Scholarship Winner for January. Chris Johnson, a Port Angeles native and graduate student in the education department at Central, has served various roles in the Men Lacrosse team over the years. He has played four years for the Wildcats and has scored 63 goals in his career thus far. In their win against Willamette University he scored a game-high 9 goals. His first stint as a player ended in 2007 for the Wildcats, he then transitioned into a coaching position, and is now excelling in his last year as a Wildcat. Chris Johnson is the February US Bank Scholarship Winner. Jenny MacKenzie, a Sophomore Exercise Science major from Lake Tapps, has become a major part of the Women’s Water Polo Club in their early season tournaments. The club headed down to Woodburn, Oregon in early February and Jenny played a vital role in their win against rival Western Washington. Throughout the tournament her stats were off the charts scoring 14 goals, 5 assists, and 7 steals. Jenny led the Cats throughout the tournament and is maturing into team leader, becoming club president earlier this year. The February US Bank Scholarship Winner is Jenny MacKenzie. This entry was posted in US Bank Scholarships on April 16, 2012 by cwusportclubs. Central Men’s Lacrosse picked up a much-needed conference victory on Saturday vs Pacific Lutheran University. The Wildcats came firing out of the gates with 20 shots on goal and an 8-1 lead at the half. The second was a different story as the Lutes crept back into the match coming within one goal early in the fourth quarter, but Central finished with six of their own in the final ten minutes. Chris Johnson led the team with 7 points (4 goals, 3 Assists) and Jeremy Veilleux led the team with six goals. If Central were to beat the Vikings of Western Washington and even their in-division record at 2-2, and if Whitman were to lose their final two in-division games, the Wildcats would advance to the playoffs as the third seed in the PNCLL North Division. The Wildcats hung tough with the Southern Oregon Raiders for one half, but the third quarter turned out to be their demise. Central went from being down one goal at half to being down 7 when the 4th quarter started. Many of the Wildcats were banged up from Saturday’s victory and simply they ran out of gas on Sunday. 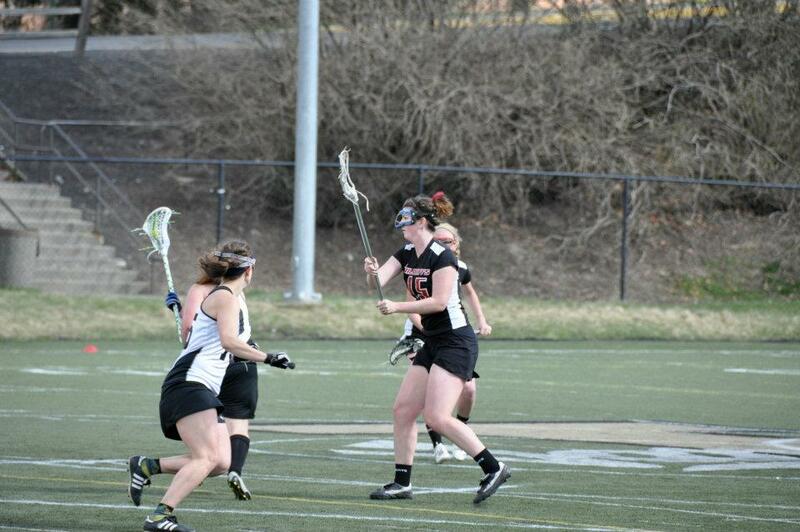 This entry was posted in CWU Sport Clubs, Mens Lacrosse on April 9, 2012 by cwusportclubs. 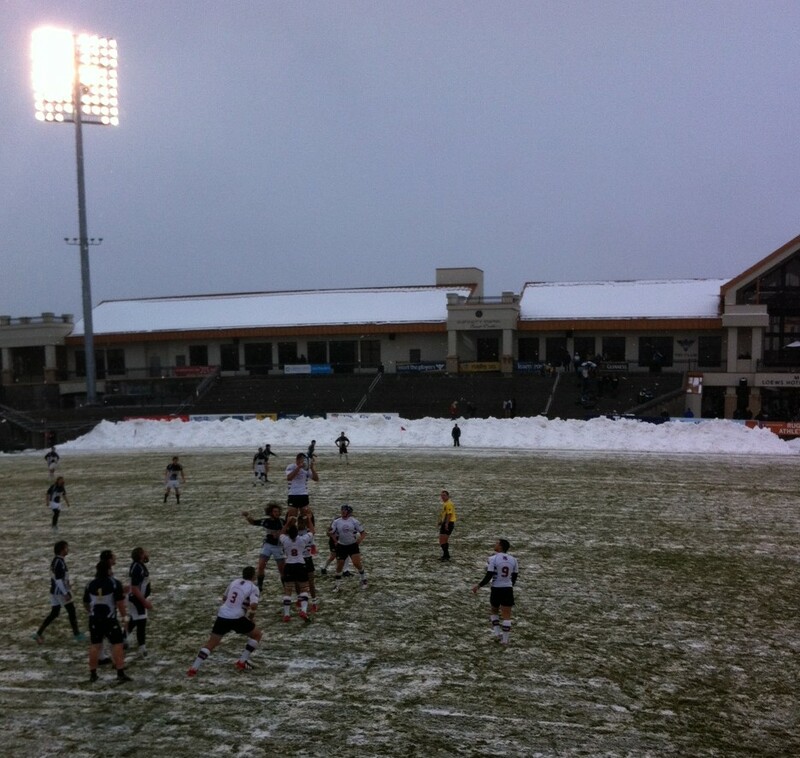 CWU Men’s Rugby defeats University of Northern Colorado 71-0 at Infinity Park in Glendale, Colorado. The Wildcats fought hard to overcome extreme weather conditions that required the field to be cleared by tractors prior to kickoff. Central was lead by man of the match Alex Reher who controlled the tempo of the match from the Flyhalf position. Reher also lead the Wildcat kicking efforts converting 4 of 5 attempts in the 1st half and 1 of 3 in the second while also running in a try of his own to account for 15 of the Wildcats 71 points. Central was also able to dictate the terms of contact and dominated set piece options putting the Wildcats on their front foot. This entry was posted in US Bank Scholarships on March 11, 2013 by cwusportclubs. SANTA CLARA, Calif.-CWU Rugby sent a message up and down the West Coast on Saturday afternoon. The Wildcats (2-0) beat the Broncos 61-5 in their Division 1-A opener. Tries were scored by Jacob Bates, Aladdin Schirmer, Josh Bower, Tanner Barnes, Doug McKinley, and Shleby Williams and Sean Wanigasekera led the team with four. CWU will continue being road warriors as they take on Sacramento State on Feb. 2nd in Sacramento. This entry was posted in Rugby on January 26, 2013 by cwusportclubs. This entry was posted in US Bank Scholarships and tagged entertainment, nature, outdoors on January 3, 2013 by cwusportclubs.